Is managed WordPress hosting worth the extra cost? Given WordPress’s status as the web’s most popular self-hosted blogging platform, it’s no surprise that the managed WordPress hosting business is booming. For a monthly fee up to seven times the cost of shared hosting, many providers offer feature-rich hosting packages built especially for WordPress users. The question, of course, is whether extra features warrant the extra cost. Here, we’ll discuss why you might opt for managed WordPress hosting. We’ll also look at some popular shared hosts, compare their plans to WordPress-centric alternatives, and help you determine which hosting arrangement best suits your needs. WordPress web hosting is a mixed bag. The extent to which a provider “manages” your WordPress installation varies quite a bit, and different hosts emphasize different feature sets in an effort to appeal to specific markets. Faster speeds: Servers configured for WordPress, whether private or shared, really can make your website faster. Nearly all WordPress hosting providers use server configurations that speed up load times. Some boost speed even further with built-in caching, so you don’t have to fiddle with caching plugins. Enhanced security: Hosts scan your site periodically for malware and offer advanced security features that prevent hackers from accessing your site at all (these features vary among providers). In the event malware does weasel its way into your website, many hosts will remove it for no additional charge. Automatic updates: Most managed hosting providers test WordPress updates and implement them for you, so security updates become an afterthought. As demand for managed WordPress hosting grows, many vendors augment these core features with functionality tailored to specific use cases. Let’s look at how several hosts in this space build hosting packages for WordPress users. David over at collectiveray.com has nicely reviewed InMotion versus SiteGround which is worth reading. Design Bombs has a comprehensive review of SiteGround if you wish to learn more. Support types: Live chat, help desk; phone support is available for packages that include more than one install. Keeping the selling points of managed hosting in mind – and we’ll concede they’re compelling – let’s switch gears and examine “typical,” shared web hosting. You might be surprised at the benefits less expensive hosts can offer. “Shared” hosting refers to an arrangement in which your website lives on the same server as others’ websites. The primary benefit of this arrangement is more sites for less cost – and for small publishers, cost savings can be a serious deal breaker. Most shared hosting packages include comparable “extras” like unlimited email accounts, one-click WordPress installs, and automated backups, too. What you lose, of course, are the premium support, security features, and server configurations that managed WordPress hosting delivers. Do high traffic levels or the anticipated growth of my site warrant investment in managed hosting? When you start receiving regular, heavy traffic, a shared server or a server that’s not optimized for WordPress can slow speeds to a crawl. Do I spend a lot of time on the phone with support? If you experience regular problems with your site or find that you need ongoing WordPress support, it might be time for managed WordPress hosting. Even if the host doesn’t offer 24/7 phone support, having fewer problems in the first place would be an optimal tradeoff. Am I disappointed in my host for some other reason? From billing issues to poor support to frequent downtime, people switch hosts for a variety of reasons. Having problems with a shared hosting provider doesn’t always mean you should switch to managed WordPress hosting, though. Determine whether the problem is something managed hosting might solve; otherwise, just try a new shared host. If you answered no to all three of those questions, you probably don’t need managed WordPress hosting – and that’s good news! Shared hosting is perfectly adequate for most bloggers and small publishers, which means you don’t need to pay a premium to keep your site online. As your audience grows and traffic increases, it might make sense to pay more for a feature-rich hosting package. But hang tight for now. When you’re ready for managed WordPress hosting, you’ll know it. Changing web hosts will be a natural step in the ongoing management of your content, and you won’t need a provider’s marketing literature to convince you to switch. Whether you opt for managed WordPress hosting or not, always research hosting providers thoroughly. Don’t go for the cheapest just because it’s cheap – read what others say about their experience with specific hosts. Review Signal is a web hosting review site that uses sentiment analysis to rank providers and makes recommendations based on information you enter about your business. Research hosts using this site and choose one that receives good press in addition to delivering the features you need. 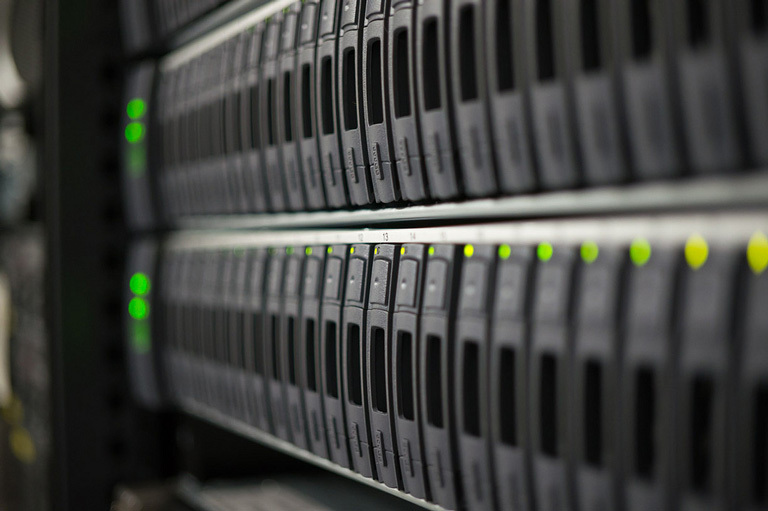 Publishers who think they’re ready for managed WordPress hosting may want to dig deeper still. Be sure you understand the differences among providers – those catering to developers vs. those catering to bloggers, for instance. Also look out for speed tests like Winning WordPress’s comparison of Media Temple and WP Engine and Oliver Nielsen’s review of four managed WordPress hosting options. While they may not be scientific, the tests can give you a good idea of the speeds you should expect from a premium provider. And remember: web hosting is just a tool. A great host doesn’t make a great website – that’s your job. Choose a host that gets out of the way so you can connect with your readers. Enjoy this post? Read more like it in Business. I signed up for managed hosting and I have to say that it was one of the best moves. Moving the sites was easy and I really like the security and back up options that my service provides. Thanks for letting us know Artur! What host did you end up going with? Avoid Pressable at all costs. Since moving to Pressable a few months ago, I’ve had nothing but issues with their service. I have 20 client WP sites hosted there and about every 2-3 weeks there’s an outage or service disruption. They can’t handle their growth. some good points you have made…we have been managing WordPress websites for 2 years after spending 6 years building WordPress websites our basic hosting starts at $9.99 per month but we do pay for all the premium plugins that we use and we update all our clients websites daily and do a full of sever backup of each site all files plugins themes email data base the lot every 24 hours we use the most up-to date VPS dedicated sever and only host WordPress website I think you are right people need to try before they buy.we offer a 30 day money back.